Welcome to West Rainton Surgery. We are a friendly practice in West Rainton offering a wide range of medical services to patients in our area. Please note as of 1st May 2019 the practice will no longer be a dispensing practice, if you are a dispensing patient you should have received a letter to inform you of this. 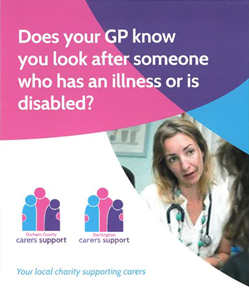 This means that from this date all prescriptions issued will either need to be collected by yourself or a carer / family member, or alternatively these can be sent to a nominated pharmacy or your choice. The practice will not be able to dispense any medication over the counter. Please contact your chosen pharmacy directly if you require information regarding a collection and delivery service. A dedicated phone line on the usual practice telephone number will be available from 1st May 2019 to request prescriptions. This decision has been discussed in detail with our partners, dispensary staff and our Patient participation group, we would like to take this opportunity to thank the dispensary staff and all dispensing patients for their loyalty and support over the years. FROM 1ST MAY 2019 PATIENTS CAN REQUEST THEIR REPEAT PRESCRIPTION BY CALLING THE PRESCRIPTION LINE ON TUESDAYS AND WEDNESDAYS BETWEEN 10 AND 12PM. We offer evening, Saturday & Sunday appointments which are pre-bookable (Monday – Friday). This may be at another surgery, when offered the appointment please make sure you know where the location is. Please contact our reception team on 0191 5843809 for more information and to make an appointment. We run a number of special clinics and services. Find out more.